Prices are per person, per night and include breakfast. 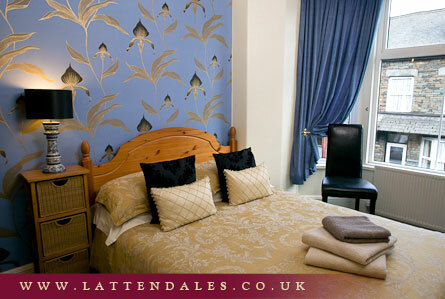 Double room with en-suite from £30.00 - £42.00 depending on season and length of stay. Single room with shared bathroom from £30.00 - £35.00 depending on season and length of stay. You may check availability and our current tariff / special offers, by clicking the book online button. A minimum stay of two nights is required over weekends Friday and Saturday. A minimum stay of three nights is required over bank holidays. Lattendales is totally non smoking. We pride ourselves on providing excellent value for money bed and breakfast, many of our guests returning year after year! Please read our terms and conditions (PDF file).